I was also having the weirdest dream before waking up. I was watching them make American Idol, only it looked more like a bad UK panto and was about as organised. Oh and my friend Janet was one of the competitors. At first the contestants were random and the judges had this electronic judging system where they sat in booths like game show contestants or something, that all failed. 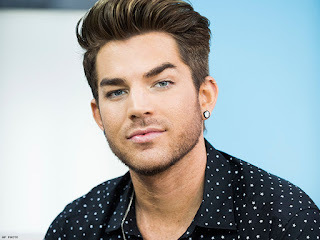 Then Adam Lambert showed up (I know why he was in the dream at least - I watched his #ItGotBetter vid yesterday :)) and he was kind of a contestant, but not. Kris Allen wasn't there, he was off doing something where he was pretending to be old and walking with a stick. I told you it was weird. As I woke up the contestants were trying to find costumes for something to do with a Thor musical number. So far they had a plastic helmet with bad pigtails attached to it. Oh and someone was complaining that they only brought Adam back to fix the result. No, I have no idea either! Yesterday I was pootling around IMDB, as you do, and I found a list of cancelled TV shows - recent ones (well 2009 onwards at least). A good half of them I'd never heard of and they sounded interesting - this is so unfair. It seems like so often dross gets made and good stuff gets canned. One I did used to watch was The Finder - I loved it. For those unaware, it was a Bones spinoff about an Iraq war vet who suffered a brain injury that makes him an amazing finder of people and things. Only problem is, it also left him with a compulsion - if he accepts a case, he can't stop until he finds what he's looking for. 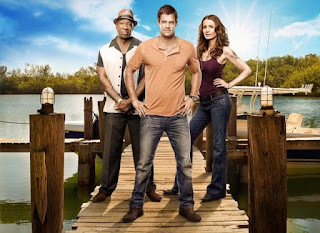 It had some great plots, quirky characters and Michael Clarke Duncan (RiP). What was not to love? This entry was originally posted at http://beren-writes.dreamwidth.org/345163.html.